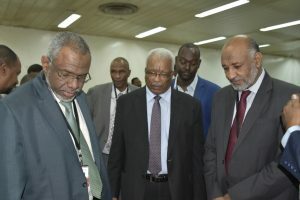 On Sunday, January 27, 2019, the Sudan Currency Printing Press was honored by the visit of the Prime Minister (Minister of Finance and National Economy), Mr. Motaz Mousa who accompanied by the State Minister of the Council of Ministers Mr. Tareq Haj Ali, State Minister of Ministry of Information and Communications and Information Technology, Mr. Mamoun Hassan, and the Governor of the Central Bank of Sudan Dr. Mohamed Khair Al Zubair, for the purpose of launching the printing of the new currency denomination the SDG 100 pound. The visit also included a site tour to the Secured Printing Department showing a mini exhibition containing all types of secured publications, which are printed inside the company with high quality of security features in accordance with the international standards. 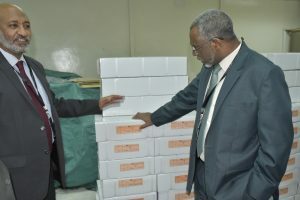 The General Director of SCPP Eng. Salah Ahmed Ali, confirmed that the new denominations of the currency are characterized by high secured features according to international specifications. 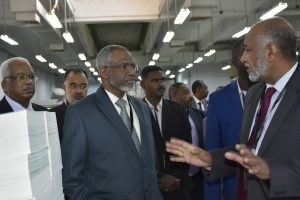 He pointed out that SCPP Company owns the latest machinery in this field. 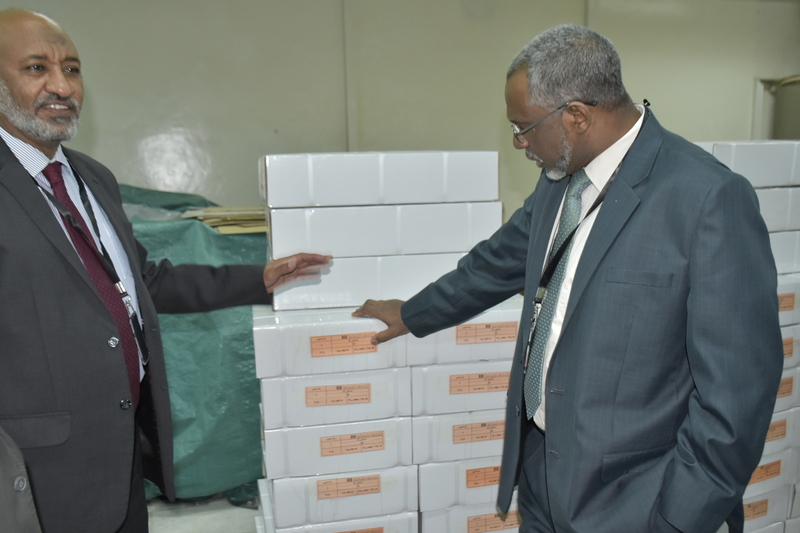 The Governor of the Central Bank of Sudan D. Mohamed Khair Al Zubair, also announced that the two denominations of 200 and 500 pounds will be issued during the coming period, in preparation for solving the problem of banknotes definitively.